Spartina patens (saltmeadow cordgrass) is a perennial grass (family Poaceae) whose current known distribution in California is limited to one location in the saltmarshes of the northwestern San Francisco Bay area near Corte Madera. Saltmeadow cordgrass is native to the southeastern United States, and is listed as a noxious weed in Washington state. Like other cordgrasses, saltmeadow cordgrass reproduces both by seed and vegetatively, with rhizomes. Even small fragments of rhizomes can resprout to form new plants. 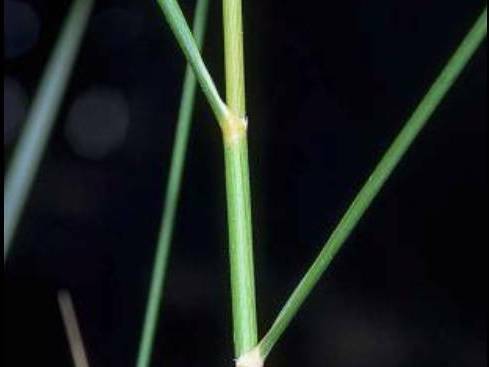 Although the invasion of saltmeadow cordgrass has only had minor impacts in California, it has the potential to spread and has been shown to cause significant impacts in other locations.